Hi everyone... It's time for a peek at the April Your Next Stamp release. Be sure to join us tomorrow for the full reveal and a Blog Hop! 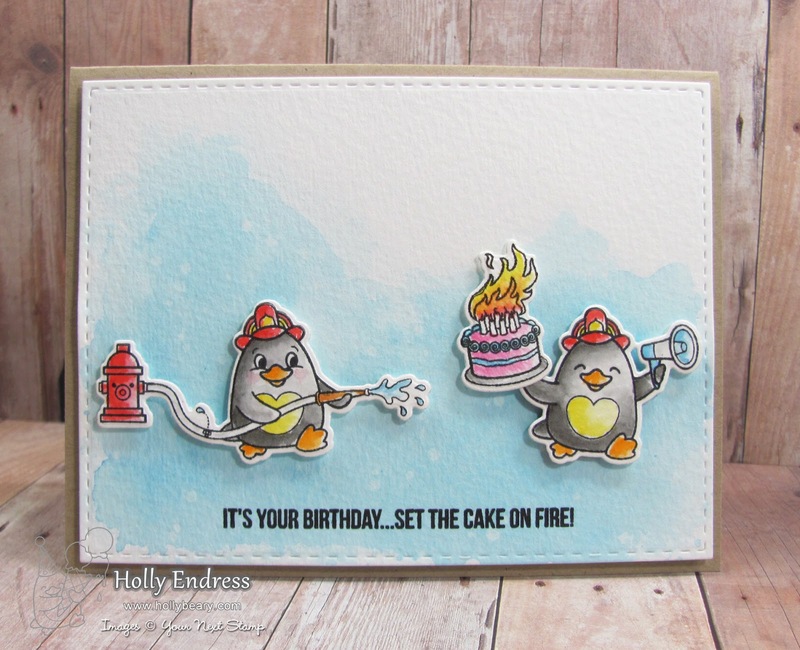 Today I'm showcasing the new Waddles set and coordinating dies... Waddles to the Rescue. I colored each of them in with some watercolors and then I die cut them out. I die cut a piece of watercolor paper using the Largest Stitched Rectangle die and then I added some Salty Ocean Distress ink to create my background. Then I adhered the Panel to a Kraft card base. I stamped the sentiment onto the lower portion using some VersaFine Black ink. I added each of the Waddles to the front with dimensional adhesive. Head over to the YNS Blog for a peek at more fun sets and don't forget to join us tomorrow for the Blog Hop! Waddles are so cute. Cute card. Great watercolor scene.these little penguins just make me smile. Adorable! 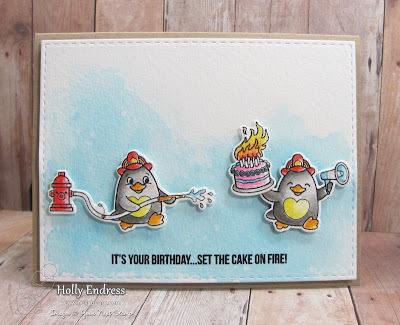 Such a fun card! Very cute card! Gotta love Waddles and his antics! This card will definitely add cheer to a special someone's day! This is just too cute, love your card! 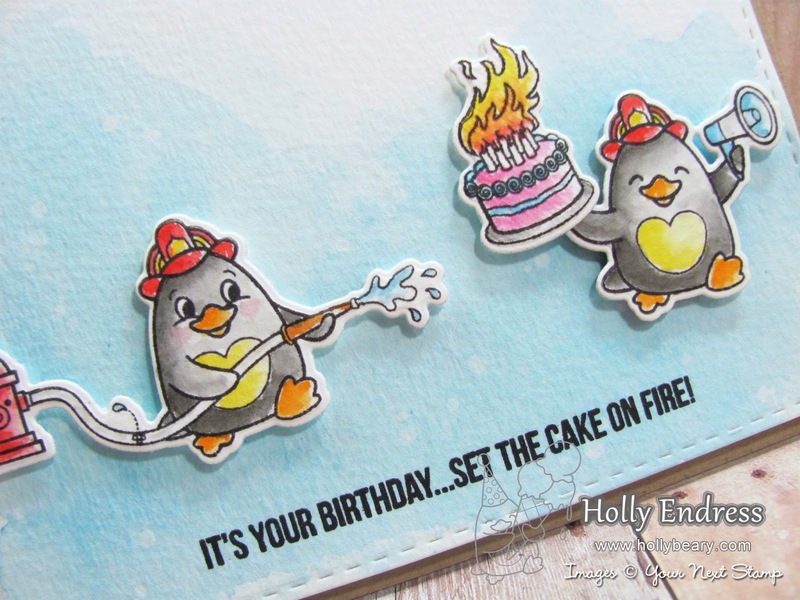 Your card is just cute as can be! My hubby is a retired firefighter of 25 years, so this set will be added to my list of must-haves!